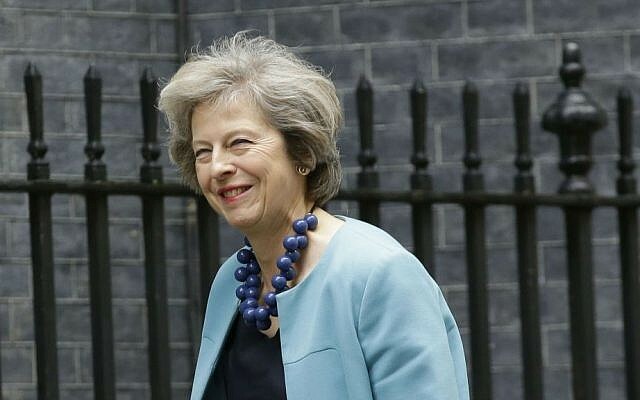 LONDON — Home Secretary Theresa May, set to succeed David Cameron as Britain’s prime minister this week, is widely regarded as a good friend of the Jewish community, and of Israel. 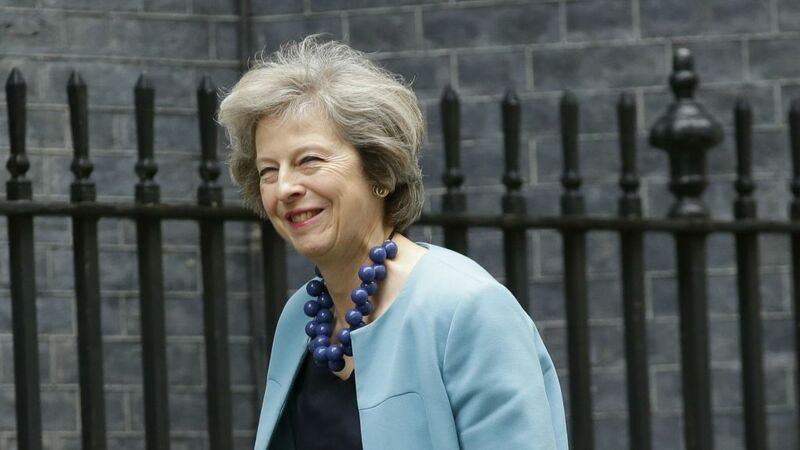 May, who will become the UK’s second woman prime minister after Margaret Thatcher, emerged Monday as the Conservative Party’s unchallenged candidate to take over from Cameron in the chaotic political aftermath of Britain’s referendum vote last month to leave the European community. May made a first visit to Israel in 2014 to meet Israeli experts on cybersecurity and combating modern slavery – “two challenges which both Israel and the UK are confronting with great determination,” she said. May, a vicar’s daughter who will turn 60 this year, has spoken to a variety of Jewish charities across the spectrum, including the Community Security Trust and the women and children’s charity, Emunah. Pledging that synagogues and Jewish schools would get extra patrols to reassure worried communities, she said at the time: “We must all redouble our efforts to wipe out anti-Semitism here.” May committed £13.4 million ($18 million) in security funding for the Jewish community in March this year. 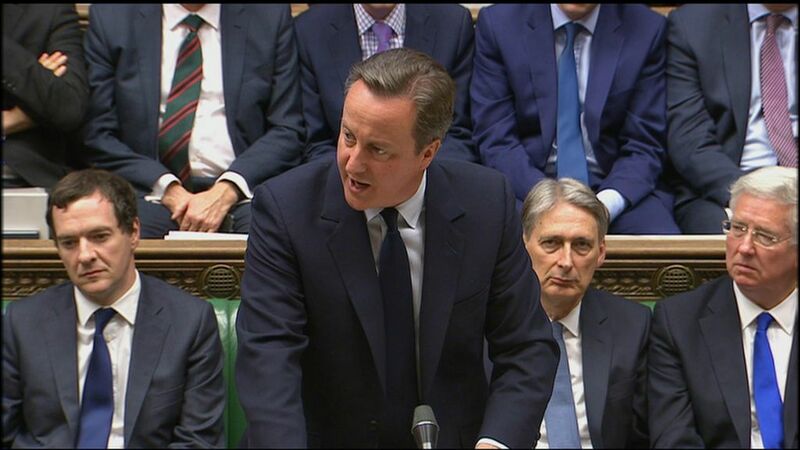 Cameron has been one of Israel’s warmest friends in Europe, and other leaders of the party who briefly sought to succeed him — including former London mayor Boris Johnson and his pro-Brexit ally-rival Michael Gove — also publicly back Israel, underlining how widespread support is for Israel in the top ranks of the governing Conservatives, in stark contrast to the relentless criticisms of Israel from many senior opposition Labour figures, led by party leader Jeremy Corbyn. May has been home secretary since 2010 and, ironically, campaigned with the “Remain” group during the referendum race.